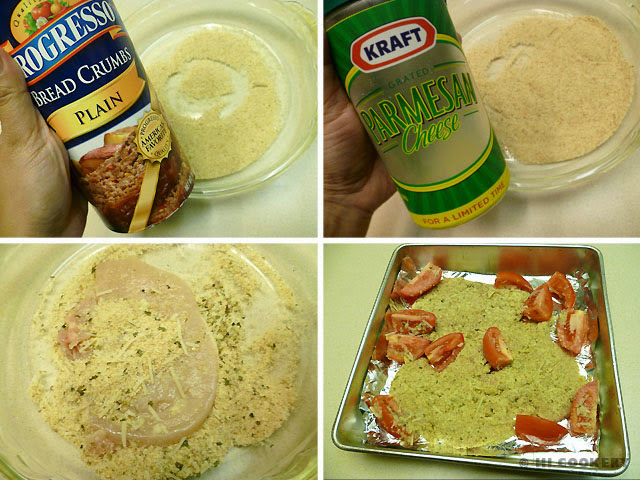 Breaded chicken breasts are sometimes boring. So we like to spice (and herb) them up with oregano, mint, salt and pepper and turn them into a simple yet savory, tender and aromatic dish. 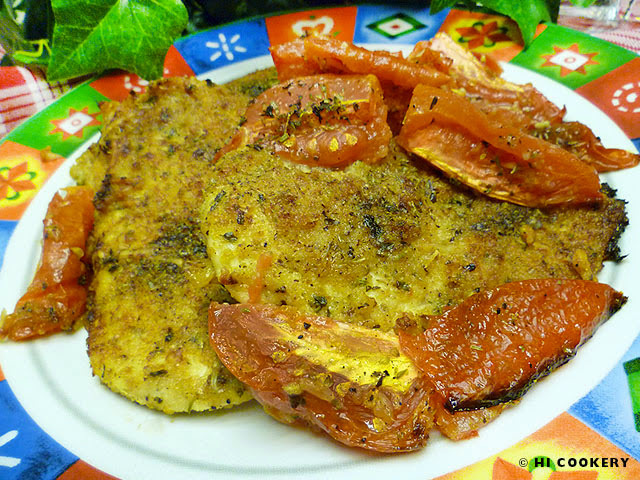 The addition of tomatoes makes this meal moist and more flavorful. Cbicken Oreganata is our choice for observing Herbs and Spices Day! 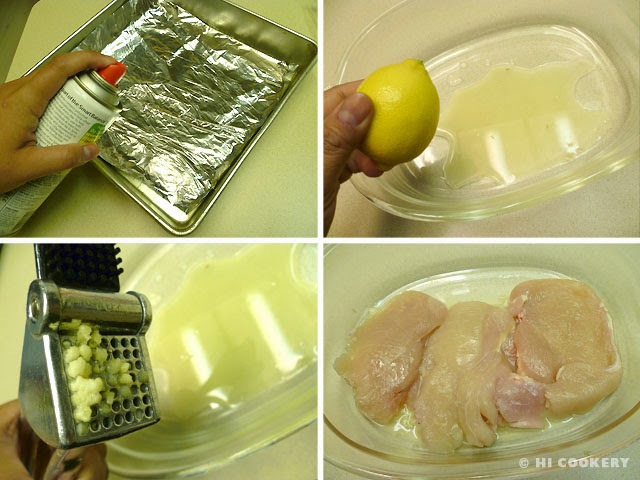 Line a baking dish with foil and mist with cooking spray. Set aside. In a lipped pan, combine the lemon juice with minced garlic. Toss the chicken in this mixture and leave to marinate for 10 minutes. In a small bowl, mix together the oregano, mint, salt and pepper. 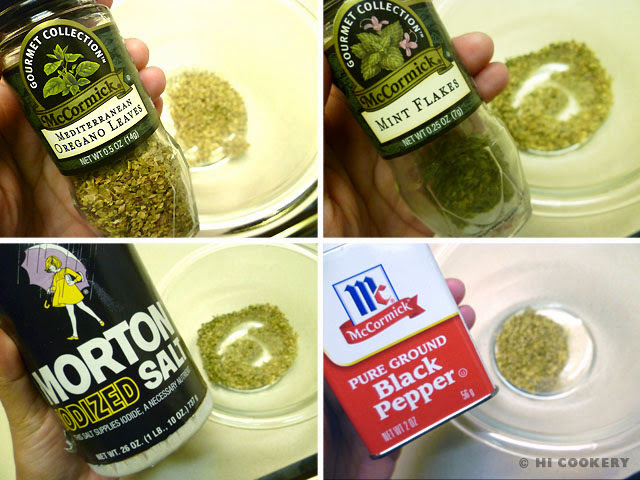 Combine half of this herb and spice mixture with the breadcrumbs and cheese. 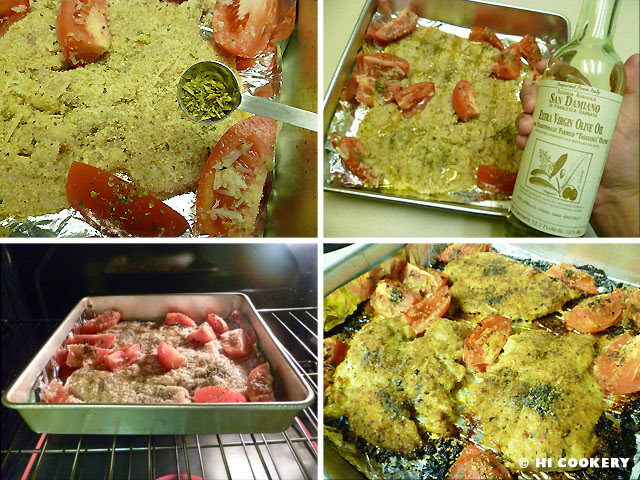 Dredge the chicken in the seasoned breadcrumbs and place in the prepared baking dish. Cut the tomatoes into wedges and scatter them around the chicken. Sprinkle the remaining herb and spice mixture over the chicken and tomatoes. Drizzle some olive oil over them. Bake in a preheated oven at 450 degrees F for 30 minutes or until the chicken is cooked through and the tomatoes are soft and juicy. Transfer the chicken to a serving plate and arrange the tomatoes around it. 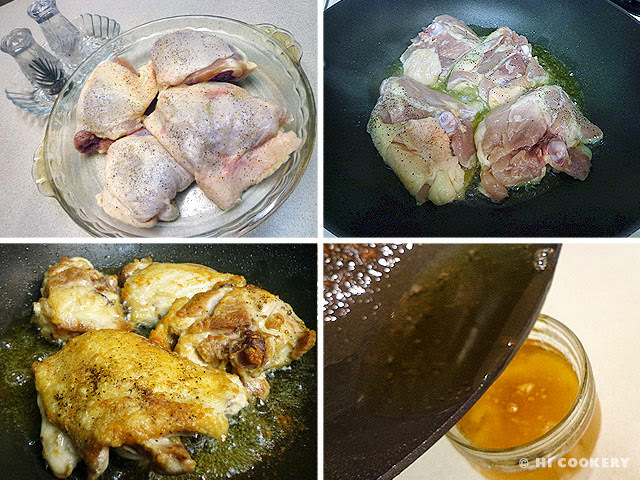 Pour any pan juices over the chicken. Serve hot with rice. Thanks to Highlander’s Mum for gifting us with the cookbook from which we used the recipe for Chicken Oreganata. 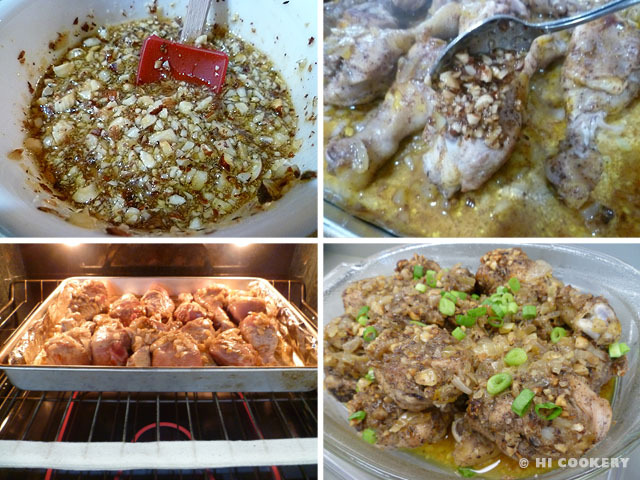 Search our blog for other chicken recipes. 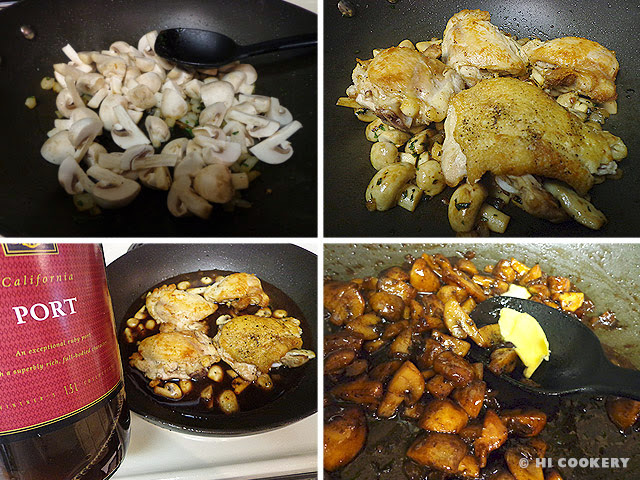 We previously posted recipes for Marsala Chicken and Champagne Chicken. Something similar is Port Wine Chicken. 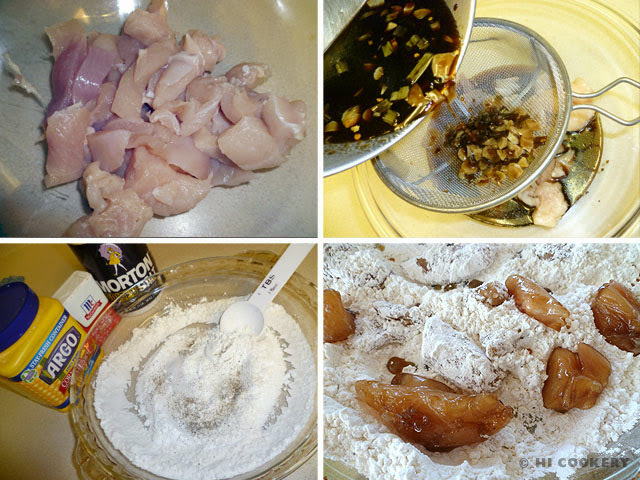 These recipes involve common cooking techniques, such as browning the chicken in butter or oil, sautéing onions and mushrooms, adding seasonings and/or herbs and pouring in some sweet wine to make a sauce or gravy. Whereas Marsala wine is from Italy and Champagne is from France, Port is from Portugal. The fortified, sweet red wine enhances the flavor of the food in which it is cooked yet does not make the meat taste too alcoholic or acidic at all. 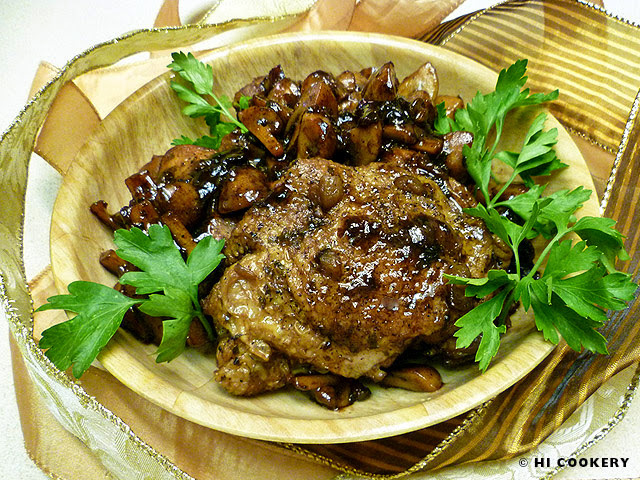 Instead of Marsala or Champagne, try putting Port in a braised chicken with mushrooms dish in observance of National Wine Day. Saúde! Salt and pepper the chicken thighs. In a large pan, brown them in the olive oil. Remove from the pan and keep warm. Drain off any oil. 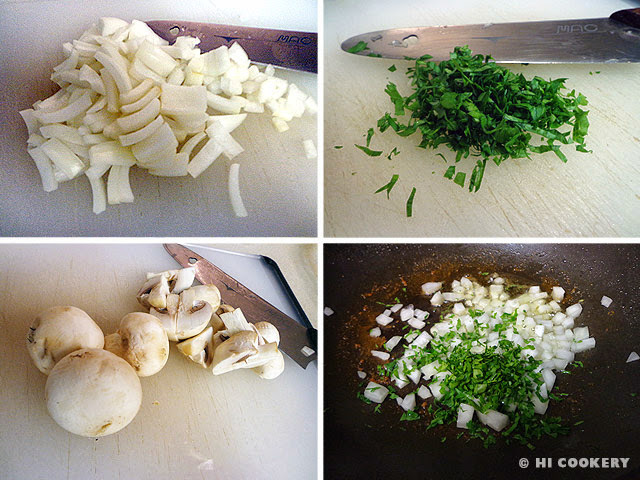 Chop the onions and parsley and quarter the mushrooms. In the same pan, sauté the onions with the parsley. Add the mushrooms and cook until brown. Put the chicken back in the skillet. Pour in the port wine. Cover and simmer for 30-40 minutes until the chicken is cooked through. Watch that the wine is not reduced too much and that there is still a little liquid left for some sauce. Remove the chicken to a platter and keep warm. Melt the butter into the sauce and stir until smooth. Ladle the sauce and mushrooms over the chicken. Garnish with parsley leaves. 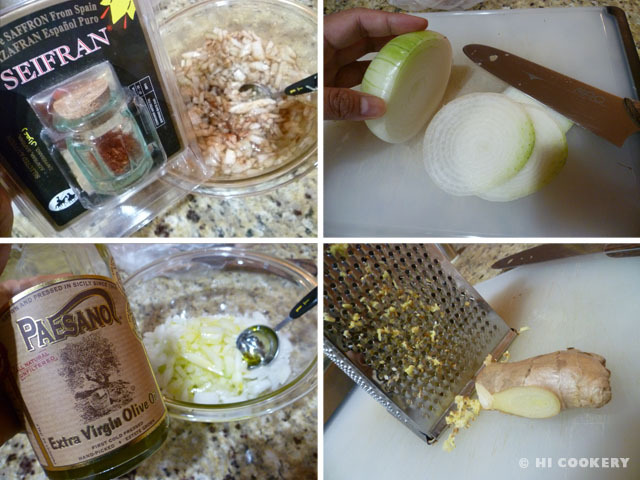 Serve with rice or pasta. If you like a lot of mushrooms in this dish like we do, double the amount and add half a cup more of Port. 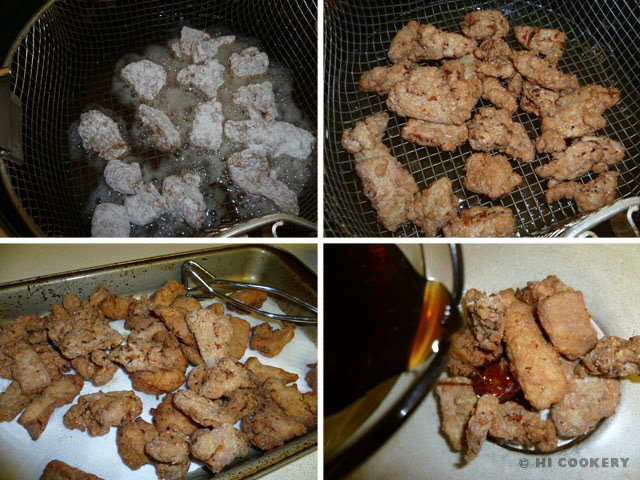 Check out more chicken recipes by searching our blog. 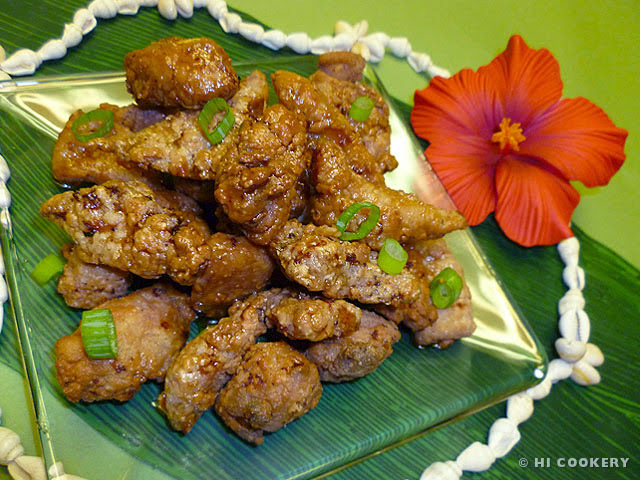 Garlic chicken (local Hawaiian style) is one of the dishes that Islander and her brother look forward to eating when they visit their parents back on Oahu. They usually order the entrée from En Fuego Restaurant in Kapolei and Side Street Inn on Kapahulu Avenue, although other eateries have their own version of crispy chicken pieces tossed in a distinctive, tasty-garlicky-sweet-soy-sauce. Onolicious! 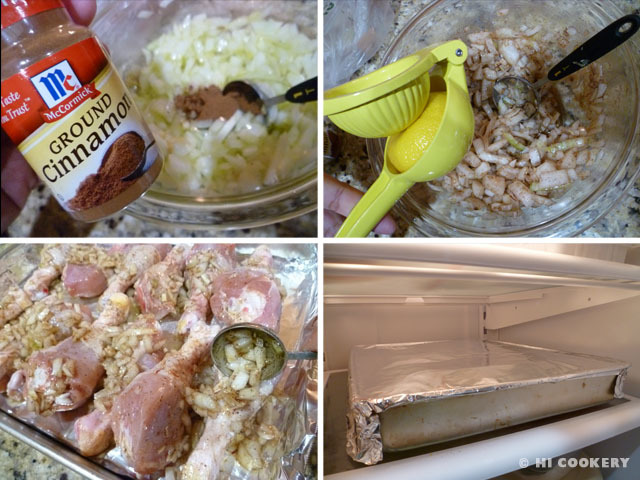 Islander learned how to make garlic chicken for her family and local friends on the mainland who were craving this flavorful dish from their Hawaii home. 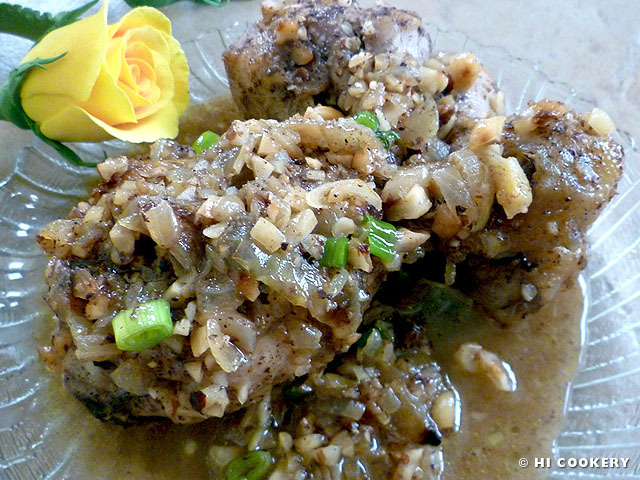 Garlic chicken is great to serve at get-togethers with ‘ohana as well as on National Garlic Day. Chop the garlic. Slice the green onions, reserving a few pieces for garnishing the finished dish. 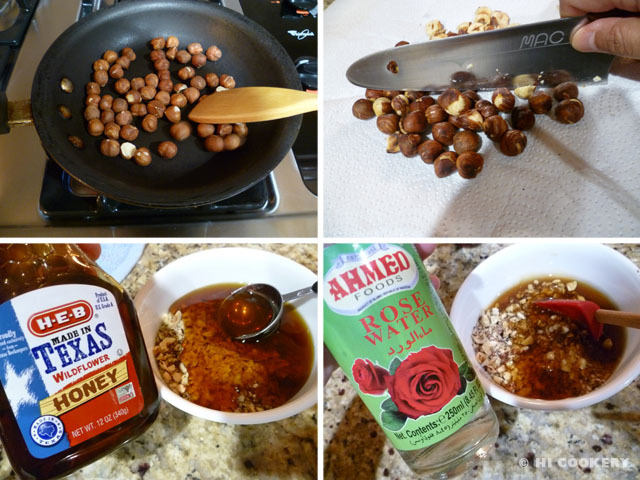 In a saucepan, combine the soy sauce and sugar. Stir and bring to a boil. Lower the heat and add the garlic and green onion. Add the sesame oil and red pepper flakes. Mix well. Simmer for 5-10 minutes until thickened. Remove from the stovetop and cool for 30 minutes. Cut the chicken into bite size pieces. Place the chicken in a large bowl. Strain the cooled marinade over the chicken. Let stand for 15 minutes. 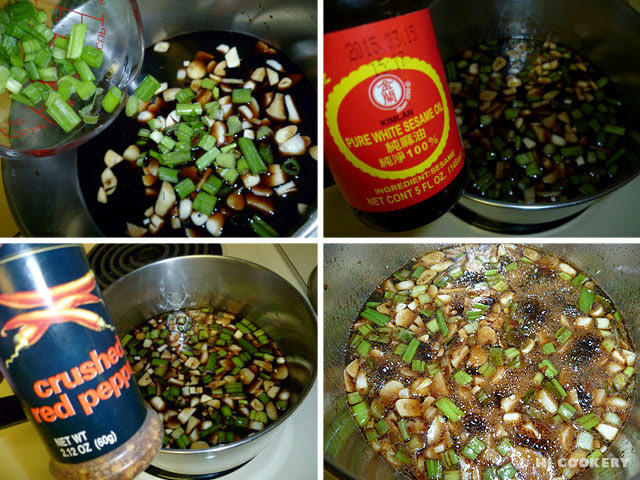 Reserve about ½ cup of marinade for the finishing sauce. Discard the marinade in which the chicken was soaked. In a shallow dish, combine the flour and cornstarch. Sprinkle salt and pepper. Mix well. Dredge the chicken pieces in the mixture, making sure they are well coated. Deep fry the chicken in batches until crisp and golden brown. Drain on paper towels. Place the chicken in a bowl and toss with the remaining sauce. Dish out and garnish with green onions. For a stronger flavor, mince a clove of fresh garlic and mix it into the sauce before tossing it with fried chicken pieces. 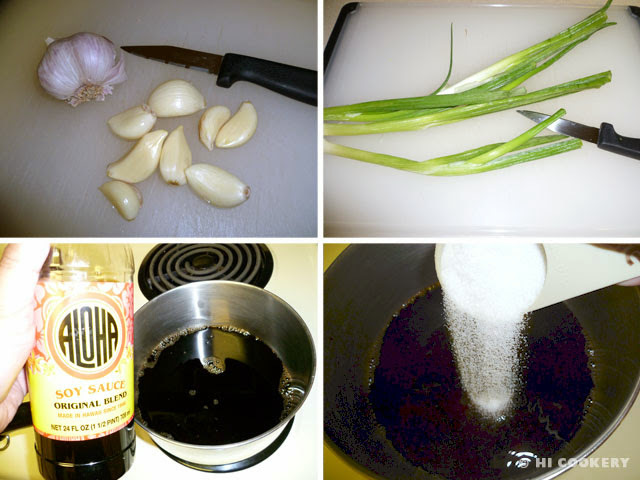 Get more garlic recipes by searching our blog.